Villa Valencan 2c is a modern and beautifully furnished terraced house in the village Betiga near the National Park Brijuni and only 1,3 km from the beautiful pebbly beach in Barbariga. The house with its private property has a swimming pool with counter-current system, covered terrace and parking for 2 vehicles. 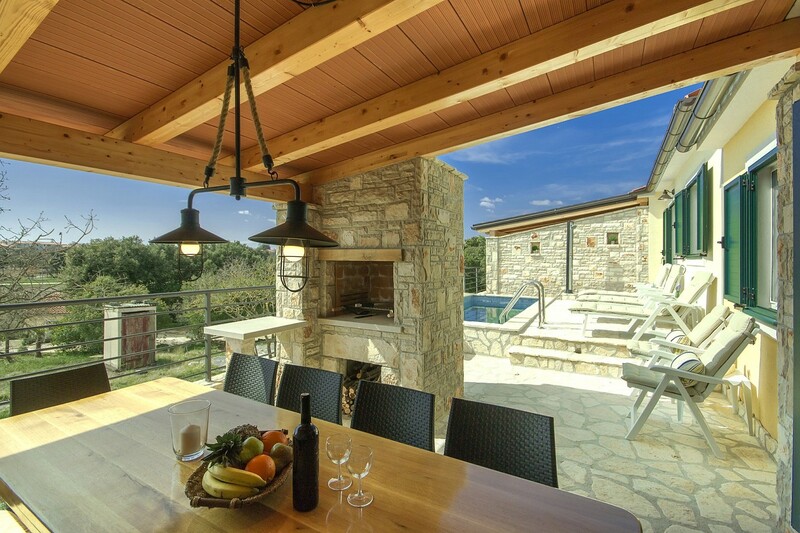 Holiday house of 125 sqm on two air-conditioned floors. On the ground floor (on two levels) is a kitchen with dining room, living room with satellite TV, two bedrooms with double bed and two shower/toilets. On the first floor, there are two bedrooms each with three beds (bunk bed and one one person bed), both with air conditioning, panoramic view and private bathroom/toilet.